Our Team - Chiricahua Community Health Centers, Inc. : Chiricahua Community Health Centers, Inc.
Our leadership and providers come from all areas of the country and bring with them a diversity of both professional and personal experiences. Although we are certainly not a homogenous group in our backgrounds or beliefs, we unite behind CCHCI’s steadfast belief that ALL people deserve access to excellent healthcare. I believe in the mission of CCHCI because it helps make Cochise County a better and stronger place to live. One of the foundations of a stronger community is access to health care. Denying access to quality care to any member of a community hurts everyone. The ability to provide health care should not be based on a financial incentive. To be able to put a smile on patients’ faces is my personal measure of success. I believe in the mission of CCHCI because I trust in its continued focus on reducing health disparities by concentrating on preventative programs and staff development. I am passionate about providing quality care and strive to go above and beyond to meet the needs of the community we serve. I believe in CCHCI’s mission because I know it makes a difference in everyday people’s lives. My community is healthier. I believe because I can see my family, friends, co-workers and neighbors living longer and better lives because of the quality healthcare provided to them regardless of their financial situation. I love providing unconditionally positive and compassionate care to vulnerable populations. I believe in the Chiricahua mission of Health for All and am excited to be able to serve the community where I live, work and play. I believe that quality and affordable healthcare should be available to anyone who wants it. Community Health Centers help to make that possible. Interacting with the interesting and varied people of Cochise County has helped me to grow both personally and professionally. Here at CCHCI I had the sense that patients come first. 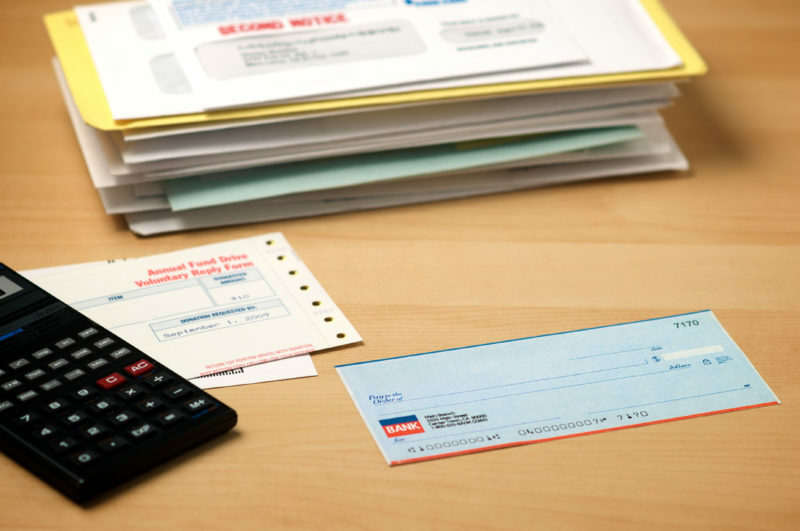 We look at patients as a person with a medical need, not a source of income. When you have the chance to make a difference, you take it. I believe in the mission of CCHCI primarily because of the ability to offer health care services regardless of the patients’ ability to pay. Furthermore, CCHCI offers a variety of opportunities to serve the community. I am passionate about rural medicine and the under served and vulnerable populations that often reside within. 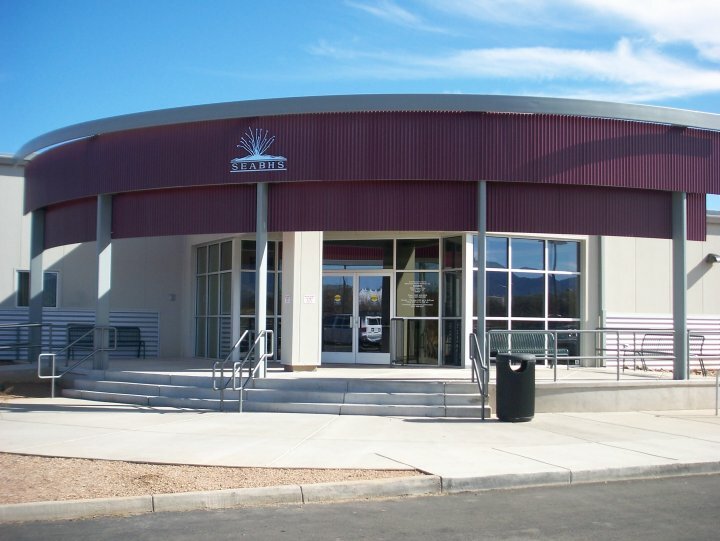 Chiricahua is well placed in rural southern Arizona to reach and impact these marginalized people through its numerous programs and initiatives. Chiricahua provides exceptional, team-based, comprehensive medical care to everyone who walks in the door, regardless of their ability to pay. This is why I joined Chiricahua. I believe in providing excellent healthcare to all and enjoy working in and serving the community in which I live. I work with CCHCI because I share their vision where quality health care is an inalienable right and the foundation where people rest their dreams and hopes. They understand the Physician role to protect and promote well being in our patients regardless of their economic possibilities, place of origin, or beliefs. I believe that underserved communities should have the very best providers given that so few resources are available. To work in a private practice is a profession; to work for the underserved is a passion. I believe in making the effort to fill in the health care gaps and crevices of the underserved people of the region. I believe that access to health care is a universal human right. 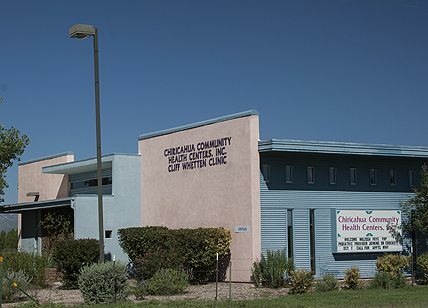 I believe in Chiricahua's mission to provide health for all and am excited to be part of an organization that seeks to improve the health of the community, especially caring for the indigent. I work with CCHCI because I believe that everybody deserves the opportunity to be provided quality healthcare regardless of their ability to pay. I believe in caring for the underserved. All people have the Right to excellent healthcare. I believe in holistic medicine and improving healthy practices in individuals and the community at large. I like the vision of Health for ALL. As a physician, this allows me to provide care to patients with limited resources. I can focus on their health, not their ability to pay. I like the vision Health for ALL. I am be able to provide care to patients with limited resources and to focus on improving their health, not their ability to pay. I believe that it is essential for everyone have access to quality health care and preventive medicine. CCHCI fulfills that need within an environment that maintains the dignity and worth of the individual regardless of their ability to pay. I believe in the CCHCI mission of healing the whole person, where you're not just a number but a person. We help those in need and treat you as we would want to be treated. I'm glad to be a part of an organization that takes care of their community like family. I believe in the project and I like the community. I love that we are the patient's health care home for the community where we serve. Health care delivery to all improves lives, futures, and creates opportunities for whole communities to reach their potential and widen their horizons. I believe in the mission of CCHCI, because it strives to break down social and economic barriers to health for all members of its surrounding community. I am excited to be a part of a growing team that works every day to bring high quality, evidence-based health care to as many children as possible irrespective of their family’s ability to pay. I believe in the philosophy of CCHCI, they have an excellent team and bring high quality health care to anyone who needs it. In Line with the mission of Chiricahua, I believe in putting patients first and providing a high level of care, no matter who comes to the clinic's doorstep. Chiricahua also allows the opportunity to partner with the community outside of the clinic doors. 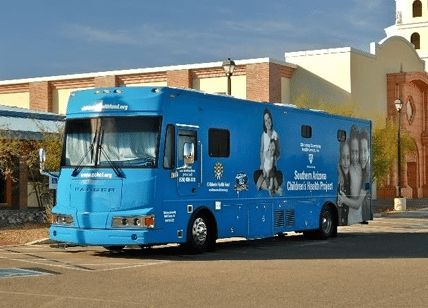 I believe in CCHCI's mission to provide the best medical services to all children in southeastern Arizona. My goal is to get to know children and their care-takers, partnering with the entire family, working together to provide individualized, comprehensive care. Chihuahua allows me to practice this kind of medicine. I believe in the mission of CCHCI because with the help of a highly professional and well trained staff, we recognize the need to deliver the same standard of high quality medical care--equal to that found in metropolitan areas--to the surrounding rural communities. Chiricahua health is built on an excellent foundation of staff and providers whom all have an elemental core of kindness. I believe in the mission of Chiricahua because I believe that in order to have a healthy community, all members must be given access to quality healthcare no matter their financial situation. Chiricahua operates primarily on a health service ethic which is nearly the universal ethic of individuals who decide to pursue a career in medicine. Chiricahua see to patient's access to quality health care with: ensuring there are appointments times 7 days a week, including holidays; no patient will ever be turned down regardless of insurance or capacity to pay; there are mobile clinics to promote health on site where its needed; providing health services throughout the entire of Cochise County; and Chiricahua promotes evidence based medical practice, an integration of best research evidence, provider's clinical expertise, and the individual patient's values and preferences. Chiricahua has inspiring and innovative leadership in Drs. Jonathan and Darlene Melk. The people make Chiricahua a very productive, rapidly growing organization have joie de vivre! As a health company, Chiricahua has sound business ethics, promotes a healthy and just work environment, complies with state and federal health organizational operational standards, and has state-of-the-art electronic/technological systems and support. It is a privilege to a progressive organization that provides compassionate, quality health care to a diverse patient population, regardless of a person's ability to pay. I believe in the CCHCI mission because I have been impressed by the excellent care that everyone receives. Everyone is treated fairly and with compassion. These are things that I always strive to do. I believe in being of service to the families of my community. I am proud to be a part of this team that continuously re-examines itself to ensure that we are providing the best care and for ways to become even better. I believe in the mission of CCHCI because everyone should receive quality health care. I am committed to building healthy communities through proper health care and teaching lifelong methods for making healthy choices and raising healthy families. I believe in CCHCI's commitment of increasing access to care throughout Cochise County. Everyone should have access to quality healthcare, and CCHCI allows me to provide the highest quality dental care for all patients, regardless of their background or financial situation. I believe in having the ability to focus on the patients’ needs without the concerns or pressures of a for-profit system. Seeing the improved health, increased self-esteem, and gratitude from the patients, is a priceless reward. Health care for all is a mission which corresponds to my motivation for I work for public health. I strongly believe in great need for dental care in the underprivileged population, especially the pediatric population. I am here for my patients, to educate and treat them, and to provide oral health free of pain and disease. As a resident of beautiful Cochise County, I believe that all of my friends, neighbors, and family deserve access to quality health care. I am privileged to be part of a team that provides such care. As we serve each patient, we will indeed build a healthier community. I believe in the mission of CCHCI, in its wonderful commitment to provide to the people of Cochise County and beyond through affordable programs which are backed by a diverse group of dedicated providers and staff. I believe in the mission of CCHCI because it truly is a “clinic with a heart.” The care is provided with an enthusiasm and aspiration to really make a difference in the health and quality of life for all in our community. I am passionate about providing quality and compassionate care to all patients, regardless of their background or financial situation. CCHCI's mission allows me to do just that. I believe in providing health care to the community. I strongly believe in education and the importance of health awareness; CCHCI strives for that and I am very happy to be able to be part of such a strong team. Working together we can raise health awareness to Cochise County and neighboring communities. I am inspired and honored to be joining a team of healthcare professionals that share a common vision and conviction that all people deserve access to excellent health care. This quote from Mahatma Ghandi sums up my motivation for this important and heartfelt work: "The best way to find yourself is to lose yourself in the service of others." I believe in providing efficient health care and constantly seeking ways to increase access of healthcare to rural areas. CCHCI removes the stigma attached to rural health care. We work hard to bring the highest quality healthcare to Cochise County and beyond. I have lived in many communities as part of my family's commitment to the military and I see a need for behavioral health services in all of them. I want to do my part to ensure the patients in the communities I live are cared for and that, in turn, those communities are stronger and healthier. I was drawn to work for the CCHCI by the enthusiasm of the staff to provide good care for their patients and community overall. They don’t just talk about good care – they provide it – to all people. I appreciate the forward thinking in planning for success and making it happen. I have found it to be a great place to work, and the community is a great place to live. I was drawn to work for the CCHCI by the enthusiasm of the staff to provide good care for their patients and community overall. They don’t just talk about good care, they provide it, to all people, and treat every patient as a valued person, regardless of why and how they present. I believe in excellent care for ALL people. I know CCHCI is a place to contribute my skills and experience in a team approach to treat the whole person while strengthening our community. I believe in the mission of Chiricahua because in believe that good health care includes good mental health care as well. I know that Chiricahua is a place for me to be able to assist in providing that good mental health care and resources that will assist all people in living better and healthier lives. I believe health care is a fundamental need. The cons to health care jeopardize the economic stability of the country; we must become more quality driven. I am proud to work for an organization that does not turn people away because of finances. I believe that nutrition is such a unique aspect of an individual's overall health and I am very excited to be a part of the team and have the opportunity to provide individualized nutrition care to the Cochise County Community. I am excited to be a part of Chiricahua's mission of "Health for All". Nutrition plays such an important part of a person's health and well being. I am happy to be able to provide nutrition education to our community so that we all can lead healthier lives. I'm excited to be working with the employees of CCHCI in providing excellent healthcare for all in Cochise County. I work for CCHCI, because I believe in giving back to my community by providing care to others. I was once that patient that needed a medical home that truly cared. The way I was once cared for, is the way we care for our patients. We care about their well-being and do not limit services based on their insurance type. We strive to assist our patients in improving their overall health. The vision of Health for All is a good thing for my community. I work for CCHCI because providing care to our little communities is a worthwhile cause and makes me proud to be a part of providing our service to people who otherwise may not receive medical or dental care. I was raised by a single mom in Elfrida and I can appreciate how helpful it would have been to have these services provided to her and I back then. I work for CCHCI because I'm able to use my experience in construction and public service. I enjoy being part of the growing and maintaining challenges this position demands. Many patients need healthcare and rely on our services. It's a great feeling to be among a group of people with the same goal/mission! I believe in the mission of CCHCI because it is an organization that strives to equalize health disparities--which provides me with a deep sense of purpose and a strong sense that we are all dependent upon one another for our survival. I believe in Chiricahua’s mission of providing healthcare for all, regardless of a person’s ability to pay. I believe comprehensive, quality, and integrative healthcare should be available to everyone regardless of income or zip code. Chiricahua provides so many valuable resources to Cochise County and by working here I feel as though I am able to give back to the community where I grew up. While working in the pharmacy, I look at each patient as someone’s family member and work to take care of them as I would my own family. Here at Chiricahua, our patients are real people and not just another number or just another prescription. 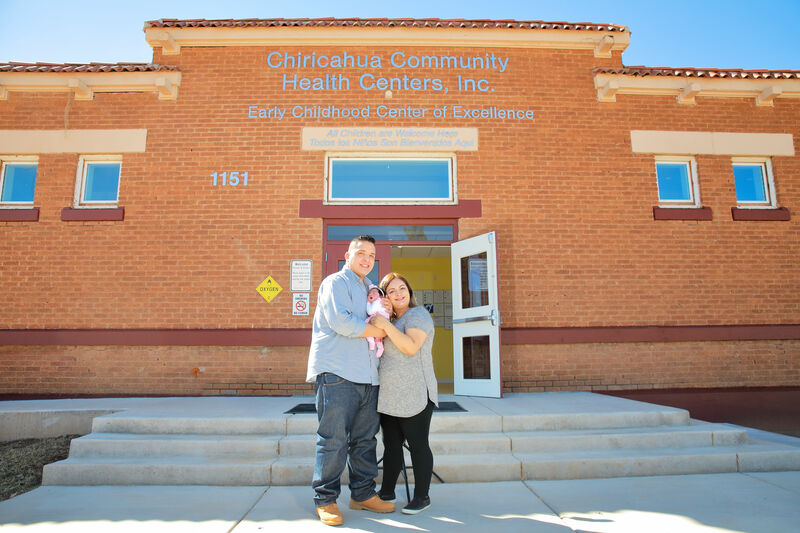 The vision of Chiricahua Community Health Centers is to provide "Health for all." I am excited to promote health management through dispensing medication, offering patient counseling, and ensuring appropriate therapeutic outcomes for all. I believe "Health for All" is a great and noble mission. I believe this because making healthcare accessible to all provides remedy for those currently in need and prevents future health & wellness adversities. It is a privilege to be part of the Chiricahua team. I work for Chiricahua because I have a passion for taking care of and making a difference in all people's lives, regardless of their ability to pay. I believe all people deserve quality healthcare where they are treated with compassion and respect. I am excited to be a part of this team at Chiricahua, who believe in Health for ALL because it allows me to utilize my experiences to bring services to the underserved, who really need care.